Directions:Driving North on Rt. 288 exit onto Old Hundred Rd. Left on Charter Colony Parkway. Left on Mill View Dr. Left on Mill Bluff Dr. Left on Waterwheel Dr. Right on Millstep Terr. 2nd house on the left. SchoolsClick map icons below to view information for schools near 12718 Millstep Terrace Midlothian, VA 23112. Home for sale at 12718 Millstep Terrace Midlothian, VA 23112. 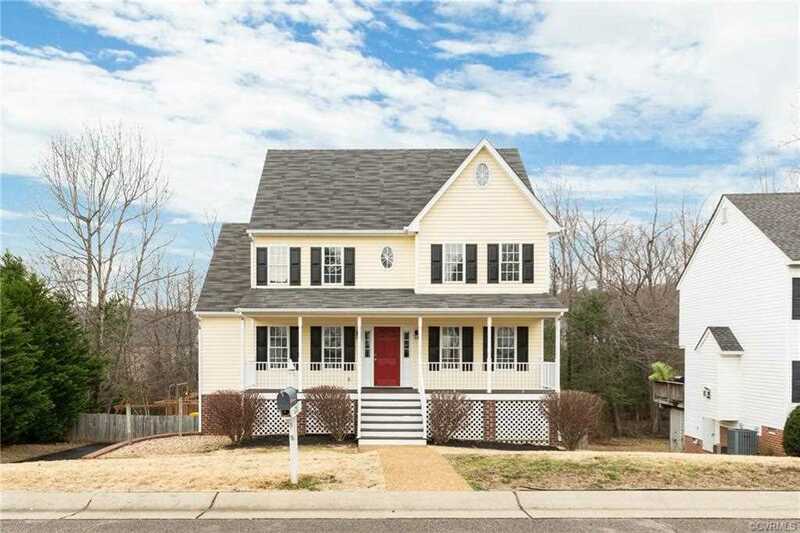 Description: The home at 12718 Millstep Terrace Midlothian, VA 23112 with the MLS Number 1902664 is currently listed at $317,000 and has been on the Midlothian market for 72 days. You are viewing the MLS property details of the home for sale at 12718 Millstep Terrace Midlothian, VA 23112, which is located in the Old Hundred Mill subdivision, includes 5 bedrooms and 3 bathrooms, and has approximately 2722 sq.ft. of living area.